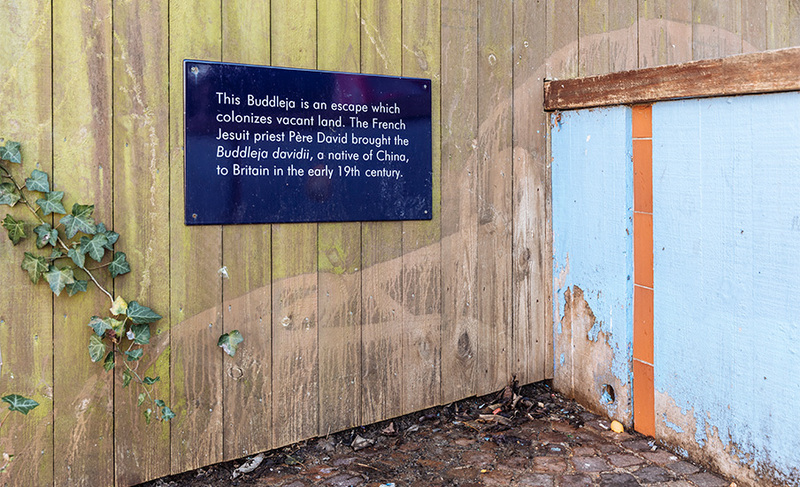 Richard Wentworth’s ten-part deep-blue enamel sign piece, is spread across Folkestone’s promenades, alleyways and avenues. 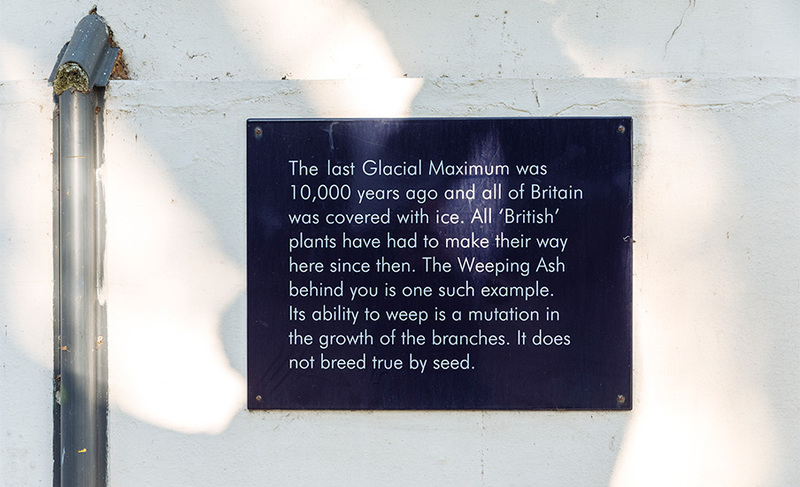 The text on these signs reads like a fusion of poetry and botany, highlighting the provenance of some of Britain’s non-native trees. 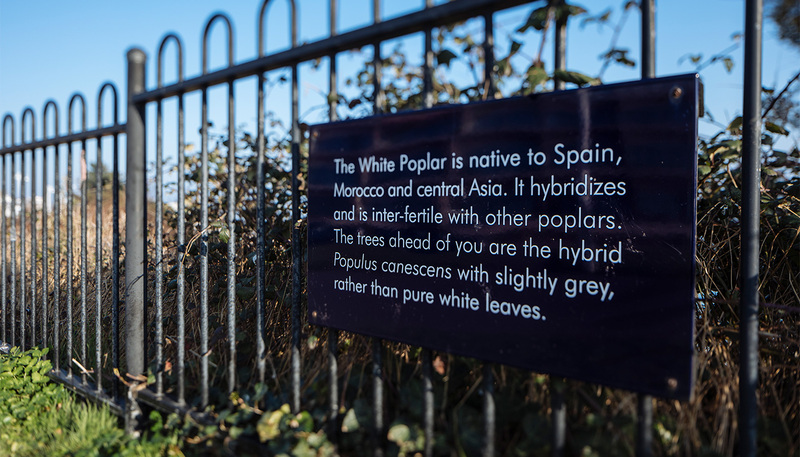 Alternatively, it can be understood to allude, via the tree metaphor, to the many migrants who have arrived in Folkestone to make their homes here or elsewhere in the country. 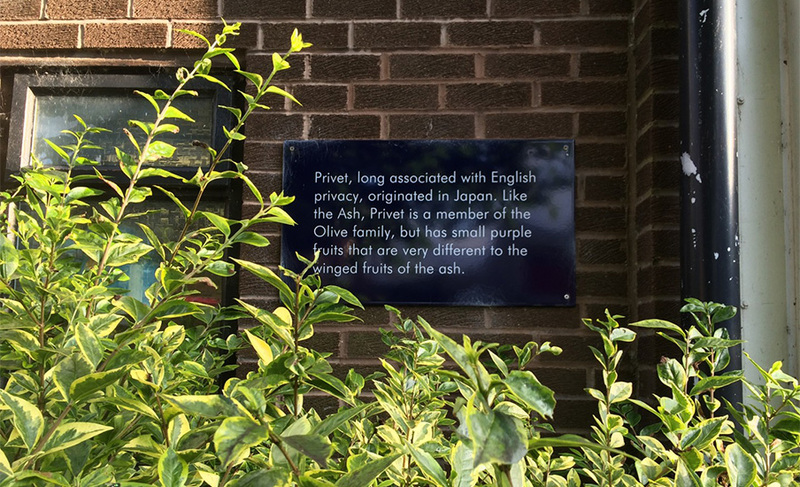 Each panel sets out some facts about a nearby tree: its name, history, origins and so on. The information is quietly engaging and might stick in the memory for a while. But leafy as it is in parts, Folkestone hardly compares to Kew gardens for exotic plant life. So why is Wentworth drawing our attention to these largely unremarkable members of the town’s tree population. All of these trees originated from outside the UK, brought to this country by botanists and plant collectors over the centuries. And yet they are now fully integrated into our immediate environment. We accept them without question or even a second glance. These immigrant species have inconspicuously put down roots (racinated), thrived in our climate and made their own contributions to the local ecology. In an area that has long been a major gateway to life on British soil, Wentworth offers these trees as a metaphor for the immigrant population of east Kent. People in Folkestone and Dover particularly, have become accustomed to seeing new arrivals from overseas. But it’s easy for any of us to view recent immigrants as outsiders or less permanent members of our communities. These trees suggest when a life is allowed to establish itself and become part of the patterns around us, the alien can soon become familiar.